Description;An array of four explosive tags are jointly placed around the boundary of an area. If anyone or anything happens to walk through the boundary, the seals will detonate when the intruder reaches the centre, killing the imprisoned target. Description;A solid, strong barrier formation, performed by four shinobi. Standing in a square formation, the performers are covered from all sides. The faces of the barrier are made from purple flames. The barrier does not allow anyone to enter or exit so long as the ninja are unharmed. The body of anyone touching it will immediately be engulfed in flames. In addition, there is no way to destroy the formation from inside the barrier, since the four people also have a barrier on the inside protecting them. Breaking out is extremely difficult. Description;Each member of the Sound Four uses a Cursed Seal. Their seals, however, are not as powerful as the Heaven and Earth seals, although they have similar end results. Like all Cursed Seals, each of them forcefully draws chakra and grants a unique transformation and attribute boost. However, Sakon comments that after using their Cursed Seal level Two and coming out of it, they lose a lot of energy. Description:The Attack of the Twin Demons technique allows Sakon and Ukon to merge their bodies using their kekkei genkai. Typically, Ukon is dormant in Sakon's body, with his head protruding from the back of Sakon's neck, although he can move freely inside his brother's body and protrude any part of his body from anywhere on his brother's body. Description;Ukon's arms sprout from one of Sakon's and they punch the opponent, tripling the usual damage. This attack is strong enough to shatter solid rock. they kick the opponent, tripling the usual damage. Description;A parasitic assassination technique that Sakon and Ukon can use with their level 2 cursed seal active, and their unique kekkei genkai. With the power of chakra, he disassembles his body down to a cellular, and even to a proteinic level, and enters the enemy's flesh. This cruel technique gradually corrodes the inner bodily cells of those he merges with, and death ensues. Though any injuries the host body receives are also suffered by the user, leaving them susceptible to any of the host's suicidal attempts. Description;This summons forth a gate that is capable of blocking almost any attack; according to Sakon and Ukon, this was the ultimate defence developed by Orochimaru, and the fact that Kiba and Akamaru managed to dent it was impressive. It was believed that two people were required to summon it, as both Sakon and Ukon did; however, Orochimaru was able to summon three of these gates by himself with his Summoning: Triple Rashōmon. To do so, he simply used both hands, instead of one as is common in a summoning. Description;Using her flute, Tayuya can control her three Doki from a distance without using words. By playing specific notes, her Doki will move and act in specific ways. Tayuya can also change the melody if the opponent figures out the keys. Description;An illusion that relies on the sound of the flute. Whoever hears it will be assailed by the vivid sensation that their limbs have been fastened with sturdy ropes, thus becoming unable to move about freely. Even without physical intervention from an outside force, the body is robbed of all mobility, and consciousness itself progressively fades away. At the same time, they are fed morbid hallucinations, which makes it also possible to run them down mentally. Given that the means of transmission is sound-based, it has a large range of effectiveness, on top of which it can be applied even without knowledge of the enemy's position, which makes for an exceedingly convenient technique. Description;Tayuya manipulates her three Doki with the sound of her flute. Her melody releases materialised spirits, which are actually special chakra sealed inside of the Doki. The materialised spirits are composed almost entirely of mental energy, so the chakra is in an unstable state. Therefore, they are starved for physical energy, so they hunt for their prey endlessly. Description;Three beings summoned by Tayuya. Their eyes and ears are covered and their mouths are sewn shut, a reference to the three wise monkeys. By playing specific melodies on her Demonic Flute, Tayuya can control them, each melody causing them to perform different actions. Each demon is different in appearance and each wields a different weapon. One wears a dark green full-body suit and its hair covers its entire head and face. It wields a giant metal club. The other is shirtless and wears dark pants. Its bald and it has scars on its head, similar to Ibiki Morino and it wears a blindfold. It has a thorn-like weapon tied to each arm. The other has its upper body covered in bandages and wears brown pants. Its head is in an awkward position and has several needles pinned on it. It dosn't have arms and thus it doesn't wield any weapon. Each demon has a purple, rope-like belt tied in an inverted bow around its waist, like Tayuya and the rest of the Sound Four. Description;By excreting his Sticky Gold from his pores, Kidōmaru can quickly create a temporary armour that is capable of blocking chakra once exposed to oxygen and even blocks the Hyūga clan's Gentle Fist. Description;After gathering his spider webbing into his mouth, Kidōmaru spits it out into a wide web pattern. This web can envelop his foes and tie them down to a nearby surface. Chakra is flowing through the web, so its difficult to escape from it. 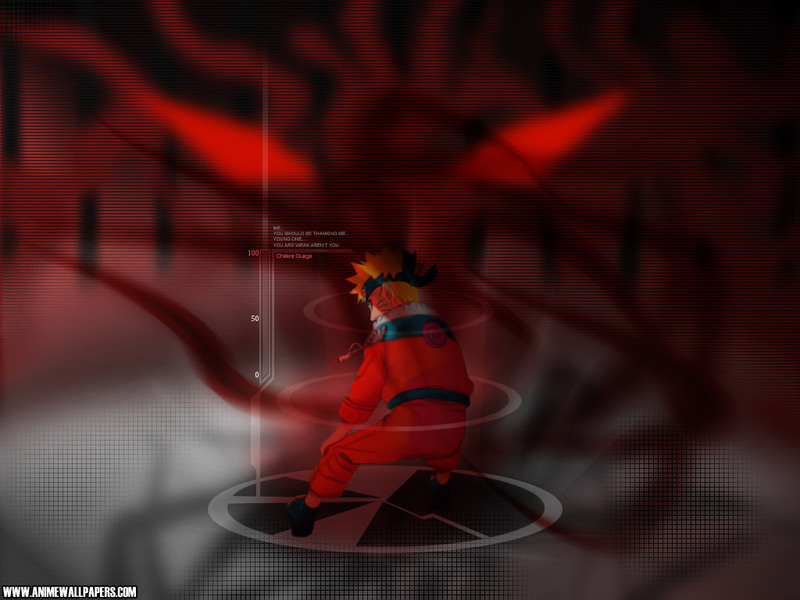 Description;This technique makes a cocoon of web around the opponent, immobilising him and leaving him open for other jutsu. The stickiness comes from Kidōmaru mixing his chakra with his body fluid. The technique is so refined, that even after having left his body, his chakra will still continue to flow through the thread to hold his opponent in place. Description;Suggested by the name, Kidōmaru emits a sticky stream of spider web from his mouth, Kidōmaru will grab onto a nearby opponent, allowing him to swing them. Description;Kidōmaru used this technique to harden the golden metal that releases like sweat. The weapons created from this process form the core of his style of fighting. This metal hardens like steel upon contact with air, so by chewing it in his mouth and changing its shape Kidōmaru can create weapons appropriate to each battle. Because it instantly hardens, direct attacks from a distance are possible. Description;A destructive archery technique that is the perfect one hit kill. Usable when in his level two cursed seal form, Kidōmaru expels Spider Sticky Gold from his mouth and gathers it to form a large war bow. By using his eight "legs", Kidōmaru can boost the tension in the bow to extraordinary level. Also, by attaching a chakra thread to the arrow he can control it up to 50 metres from his target, achieving an astounding accuracy. On top of this, the third eye which opens when he enters level two gives him unmatched precision. Even from distances where he cannot be sensed by his opponent, his arrow pierces through his target at great speeds. If on the chance that he does miss, he will refine his methods until he lands a kill-shot. The power of his arrows can create craters in the ground, and could be further increased by adding a drill to the arrowhead. The arrow impact with the drill added, could pile-drive through forests, as well as prevent change in trajectory when piercing through any obstacles that stand in between the target and Kidōmaru. Description;Kidōmaru can send chakra through his spider webs to instantly detect the approach of any enemies foolish enough to touch it. These threads spread in all directions and are so sensitive that not even the slightest disturbance of the air will not go unnoticed. Also, the threads are so thin, they can hardly be seen, yet they are stronger than steel wires. This technique is especially useful in enemy territory when Kidōmaru needs to rest while still remaining on guard. Description;A special adhesive net released from Kidōmaru's mouth. These nets, created with chakra, stick to their prey and do not let go. The nets themselves are very small, but can be created in a split second, so raising the rate of capture by spitting out several in a row is possible. It is useful technique against multiple enemies. Anyone caught by the two layered nets are plastered to a wall or tree behind them. Description;A web that captures and contains all enemies attacking from the front. Kidōmaru catches his enemy off guard by releasing it while in the air. By swiftly spreading the ball of thread with his six "legs" the web covers a wide area. The chakra imbued threads cannot be cut by even a dagger. The sticky and elastic threads are so strong that even an elephant pulling each end would not break them. The enemy is unable to budge a muscle, let alone fight back. Once captured, their fate is in the hands of Kidōmaru. Also, according to Kidōmaru, it can hold more than five tons. This web however can be destroyed through the use of the Gentle Fist. Description;Kyodaigumo is a gigantic black spider with orange stripes going down the back of its abdomen. It greatly resembles a tarantula. Once summoned, Kyodaigumo can quickly release an egg sac full of baby spiders roughly the size of a small dog. To perform Rain of Spiders, Kidōmaru then cuts open the sac, causing the rapidly hatched spiders to rain down on his opponent. The spiders will spin a strand of webbing as they fall, circling the opponent in webbing and sticking them to the ground. These spiders converge on their victim's location, ensnaring their victims in spiderwebs, cutting off the victim's exits and restricting their movements until the victim is completely encased in a cocoon. Kyodaigumo can also explode into webbing if hit.